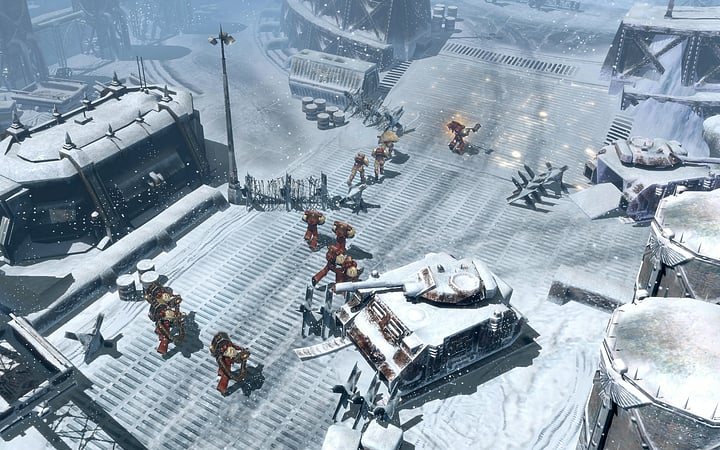 The acclaimed Warhammer 40,000 Dawn Of War II returns – with a new threat, new choices and new skills for the Blood Raven Space Marines you command. 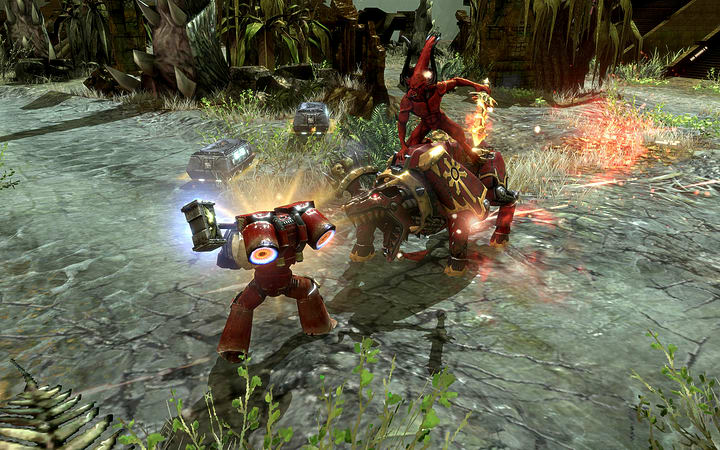 Warhammer 40,000 Dawn Of War II brought a new, bloodthirsty intensity to realtime strategy games, focussing on squads and heroes instead of base construction. 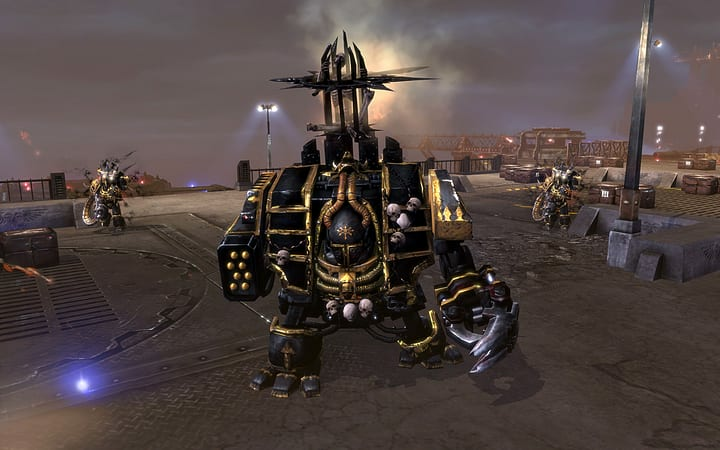 Warhammer 40,000 Dawn of War II: Chaos Rising sees the epic formula return with a new threat – the infamous Chaos Marines. Now, choices you make on the battlefield in Chaos Rising can see your troops embracing chaos – bringing them new abilities, at the cost of old ones. Chaos Rising also lets you build more powerful squads, with a new level cap of 30, new wargear and new heroes on the battlefield in both single and multi-player modes. Your Blood Ravens have saved the sector, but can they save themselves? 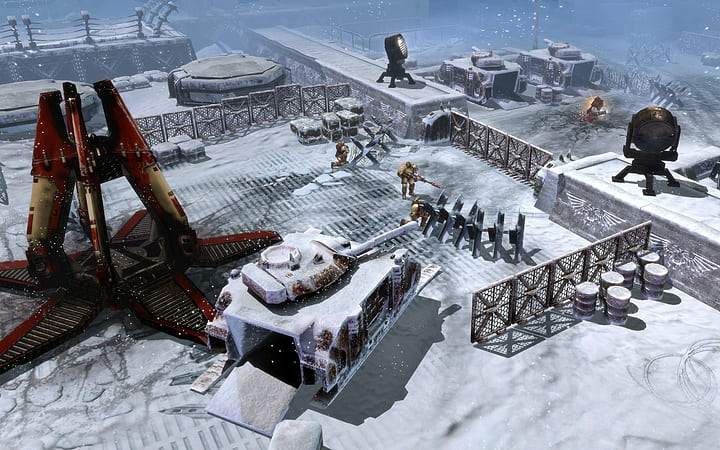 In the sequel to the acclaimed Dawn of War II, you return to sub sector Aurelia where a long lost frozen ice planet has reappeared from the Warp, bringing with it new secrets to uncover and foes to face. Upgrade your squads with new legendary wargear and unlock new special abilities, as your squads advance to level 30. Will you remain steadfast to the Emperor or risk heresy to gain new dark and destructive powers? 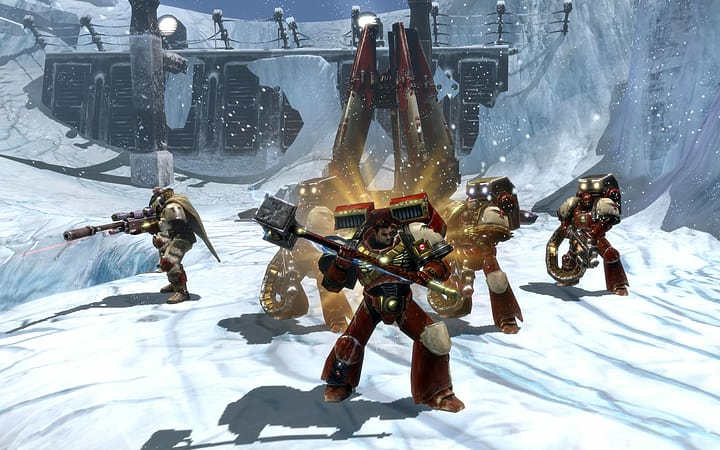 In multiplayer swear loyalty to the Chaos Gods and pit your bloodthirsty warband of Chaos Space Marines against the new units and reinforced armies of the Space Marines, Orks, Eldar, and Tyranids.